FORT WORTH, TX. 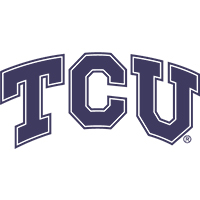 (February 4, 2019) – TCU Athletics announced today a new relationship with IMG Learfield Ticket Solutions (IMGLTS), which will handle outbound ticket sales for the Horned Frogs with a dedicated, on-site customer service team. As part of the multi-year relationship, IMGLTS will provide TCU with an outbound and digital sales solution for all ticketed sports at the university including the Legends Club, a 2019 expansion to Amon G. Carter Stadium. IMG Learfield Ticket Solutions also will provide a data analytics package to enhance pricing models and the renewal process. The TCU relationship highlights the recent growth of IMG Learfield Ticket Solutions following new Power Five agreements with the University of Georgia and University of Iowa in 2018. The company now represents 43 collegiate properties, including 18 Power Five schools following extensions with the University of Oregon, West Virginia University, University of Colorado and Cal in the last six months.